With all the fancy new ways to promote a new local restaurant, I find some obvious marketing tactics have been largely over-looked. 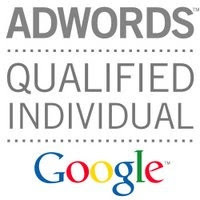 In today's world, when I say local marketing everyone thinks Yelp, SuperPages, Yellowbook.com and Google Local Merchant. These are still important vehicles to promote a new local restaurant on the Internet but what are we missing? Promotional items, maybe logoed pens and t-shirts but that might be too expensive. I walked into Dickey's Barbecue Pit for the first time and was transformed into a Texas style barbeque. The picnic table clothes in checkered blue and white, the smell of barbeque and a big yellow cup? At first I thought that drinking out of a big yellow cup wasn't part of the experience but then I thought, "Hmm, you drink beer & coke out of 32 ounce tumblers when you are at a barbecue or ball game." On the bottom of the cup's front side it says "Take me home! I'm a Souvenir Cup. Big Yellow Cup. Reusable. Recyclable. Dishwasher & Microwave Safe." 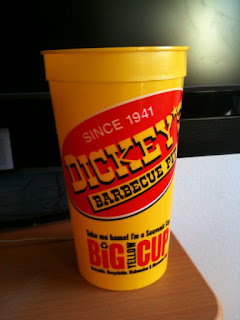 Next time I have the guys over to watch football and I am drinking out of my new, 32 ounce tumbler, Boss Hogg will ask, "You been down to Dickey's Barbecue Pit? Hot damn! How was it?" Then the perfect advertising happens, Word of Mouth from a close friend or family member. I tell Boss Hogg that me and Luke took out the General Lee to pick up Bo and head over to Dickey's Barbecue Pit. Of course we saw Rosco P Coltrane at Dickey's! We traded some Moonshine for a rack of Dickey's ribs and a side of macaroni & cheese. 10-4 Good Buddy! That's some good eats!